The weather contributed to the success of the fundraiser, as it was a picture-perfect night for the Champagne Reception that was held in the Garden Patio at the GALLERY One Hotel. This gave members and guests the opportunity to socialize and reminisce about the birth and growth of the BIWC. Guitarist Tony Ventura entertained during the reception. At 7:30, everyone went to the Ballroom for dinner, entertainment, some welcoming remarks and dancing. “When a small group of foreign-born women met back in 1975, they undoubtedly had no idea of what an impact they would have in the community and the lives they would touch,” Janet Brady told guests. “Initially, their main goal was to educate the community about their countries’ cultures and traditions” Over the years, the BIWC added a charitable component, choosing to raise money to provide scholarships to foreign-born women attending Nova Southeastern University. Today, there are close to 150 members from 101 countries. “We are here to celebrate the diversity of the various countries of origins, while also celebrating the common threads that bind us as American citizens,” said event Chair Maggie Rogers. She recognized the Past Presidents who were in attendance as well as the many sponsors. Heading the list was Corporate Sponsor Nova Southeastern University as well as Diamond Sponsors, Panza Maurer Maynard, PA/Susan Maurer, Jill Sivert/EWM Realty International and Irene Schyberger. Following Maggie’s welcome and the presentation of a beautiful bouquet of flowers by Janet Brady, Dr. Ralph Rogers, Provost and executive Vice President for Academic Affairs at Nova Southeastern University greeted everyone and spoke about the University’s core values and vision, and the important role BIWC brings to the international students community. Mrs. Olga Ortiz Mera Henrichsen, BIWC’s Founder, was then welcomed to the stage. She shared the genesis of the formation of the Club, saying that the purpose in 1975 was to assist the then Mayor of Fort Lauderdale, Clay Shaw, in his plans to hold special international business events for the upcoming Bicentennial of the US and to promote Port Everglades as a deep-water port suitable for cruise lines, as tall ships were coming to the port from around the world. 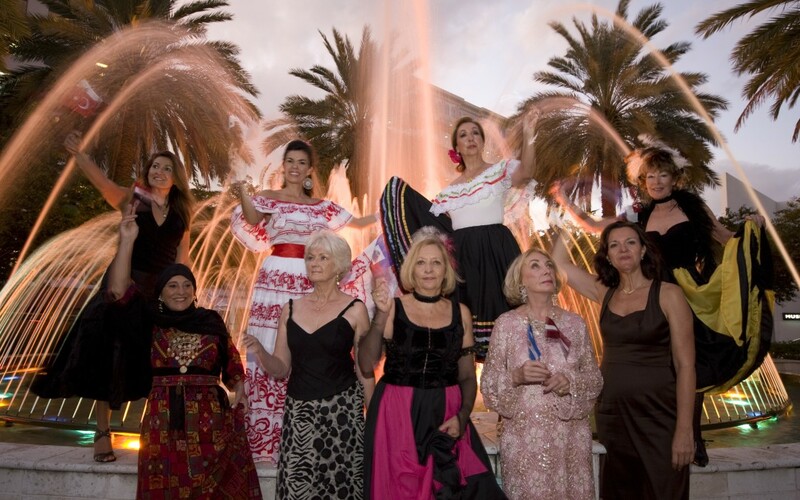 At that time, Olga was the Honorary Consul of Ecuador and the Mayor asked her to organize a group of international ladies to be the official hostesses of Fort Lauderdale, and be in charge of the arrangements of the various business meetings that would take place with top business organizations as well as visiting dignitaries and business people who would be visiting. And the rest… is history. Following Olga’s remarks, Dr. Alejandra Parra, BIWC board member, introduced two of the students who are the recipients of this year’s scholarships. Both Klaudia Boczova_____ and Suzette Henry Campbell_____ spoke about the value of the scholarships and their appreciation of the efforts of BIWC; as well as how much they were learning at Nova. This was followed by some great entertainment, including NSU students groups The Riff Tides, an A Capella Group (text deleted) and LASA Salsa Group, and Tony Ventura’s varied music that had guests dancing the night away. 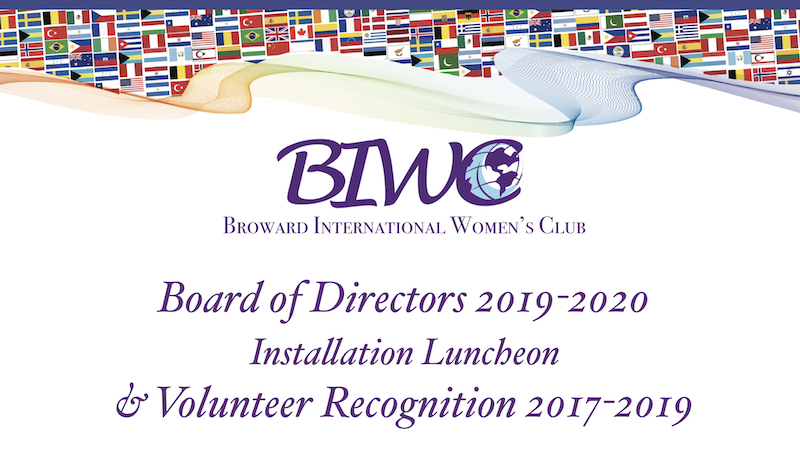 “The Broward International Women’s Club is non-profit organization, with funds raised going towards Grants for international female students having a hardship in finishing their studies at Nova Southeastern University,” said Gloria Lafont, past president and PR chair. Since the club was founded, more than $300,000 has been donated for scholarship grants.